Performing an audit for a Google AdWords account is a necessity for any business to function successfully. The only way for you to be sure that your businesses Adwords account is running as effectively as it could be, a business needs to run an audit on their Adwords account. What is an AdWords Account Audit? Put simply, an AdWords account audit is the method of assessing the effectiveness of a business AdWords account. Operating in an extensive AdWords audit provides businesses with a valuable understanding of the performance of the campaign and can also help to reveal any hidden missed opportunities to boost the business. Even if your business campaigns are already performing well and creating sales, it is highly recommended that an audit is conducted at least once every 6 months. Although there are countless tools and services that can automatically provide results based on complex algorithms, they generally they do not contain the context of a business’s specific marketing goals, their focused audience and individual desired outcomes of their PPC (Pay-Per-Click) endeavours. Determine what aspects a business is going to review and recognise the importance of these factors. Analyse and record the quality of each component of the audit. Create comprehensive notes and make note of the components of the audit that need to be reviewed again as a part of the post-audit action plan. When performing the audit, it is essential that you do not use this time to make any account or campaign changes, unless it is absolutely critical and it must be addressed immediately. It is important though that once the auditing process has been completed to deliver reports and results that can be utilised and be placed into an action plan for the follow up process to allow for ongoing management adjustments. The last thing that a business wants to do is to begin a never ending audit that has constant changing variables from start to finish. Why do businesses need to perform an Adword Account Audit? No matter if the business is taking over an account from a client or simply as a part of the development of a new role in the business, it is essential to know and understand the circumstances of every element of a campaign before investing substantial time and money. Another benefit of regularly performing an AdWords audit on campaigns is that is allows businesses to examine the bigger picture and pick up on elements of the campaigns that may have been missed in everyday management. Discovering areas of the campaign that are wasting money. Establishing new potential opportunities to develop. Improving the continuous management practises. Acquiring audience insights that can be used in the account, as well as other channels of marketing. The next action for a business to take is a step-by-step process of how they can perform their own Adword account audit. This will help businesses to gain a valuable understanding of the account and discover new opportunities to improve the overall account. By focusing their attention to these specific areas and asking important questions upon operating an AdWord account audit, a business will be ensuring that they are expanding their PPC marketing ROI (Return-On-Investment). Before beginning to delve into an Adwords account, the first step of an audit is the review the businesses and account goals. This will help to ensure that all members working on the audit have a clear understanding of what the focus and objectives are. It is important to note that it is acceptable to have numerous conversion goals for the business. By gaining a thorough understanding of the performance outcomes that a business is pursuing, it will aid in setting the tone for their evaluations during the remainder of the auditing process. By clearly defining the goals, it makes it much easier to focus and objectively audit the AdWords account. What are the conversion goals of the business? What are the conversion goals for the AdWords account? Have the goals changed? How? Is the business able to track the performance of aspects such as leads and sales beyond AdWords. Have the target audience or set personas altered in any way? Once a business has clearly identified what accomplishments they would like the AdWords account to perform, the business can delve into the components of the campaign. The structure and hierarchy of an AdWords account can have a positive impact on the quantity of time that is required to successfully manage a campaign and grant a better pool of data for decision making. Even though there is not a one-size-fits-all method to structuring an AdWords account, there are ways to do so that will give a business as much control as possible on the smaller details of the budget, ads and the overall management. Does the campaign portray the different campaign setting level segments? This includes geo-targeting, campaign level bids and campaign level budgets. Does the campaign supply significant roll up reports to ensure that the ad groups fall within these premises? Is the campaign easy to compare amongst other campaigns and to balance the budgets across these campaigns? More often than not, businesses can promptly review their campaign settings and proceed to the next step of the process. Still, businesses may need to eventually return to these specific settings and make changes based on the results produced by the review and any other decision that prompt changes in other areas of the audit. Before a business makes any performanced-based amendments to their accounts or campaigns, there are a few specific items that should be reviewed. Assess if the geographic targeting is appropriate and accurate. Businesses should ensure that there are no countries or regions that are being targeted in the ‘locations’ tab. Assess if the device targeting is appropriate. Assess if components such as the bid strategy, budget and ad delivery methods are as desired. Assess that the correct dayparting is in the right place. Assess if dynamic search ads are in place and if so, businesses are to ensure that they are using them for the right reasons. Ad group being groups of keywords. These two concepts are often confused. Generally, businesses seem to think about keywords and their groupings before they consider the intent of those using search engines and the destination that they are sending them to. A business can have the most well-organised groups of keywords possible for their AdWords campaign, however if their ads and landing pages are an afterthought, they can produce extremely poor results. Their focus should remain on their ads, landing pages and their conversion rates. If their ad group have roughly 10 or less keywords. If their ad groups coordinate with one another, rather than competing with each other. If the ad groups maximise their CPC’s (Cost-Per-Click) and they are set at an optimum level. If the best performing ad groups are receiving enough of the allocated budget. It is easy for businesses to get caught up in keywords, their match types, search inquires and other details at a miniscule level. It is important for businesses to pinpoint sequences and trends in the auditing process. By doing so, it is crucial to withstand the temptation to begin making changes and updates to the audit. When a business begin to search for their keywords, they should do so within their individual relevant campaign in order to stay concentrated on the distinct subject matter of the campaign and to narrow them down into ad groups. By applying these specific goals that have been identified in the first step of the audit, the business can assess the particular intent and the performance of these keywords. If a business is running an extremely large campaign, rather than trying to evaluate each individual keyword, it is within their best interest to examine samples in order to find patterns and issues. A great deal of sorting and sampling is required to efficiently find performance and optimisation problems. If negative keywords are being used. If the search query report exhibits any keywords that are not in line with the topic of the subject matter and is benefiting conversion goals. If there are any terms or keywords that have no conversions however have great deal of impressions, clicks and spend costs. If there are any keywords that are acquiring low quality scores. If there are any keywords that have a status ‘no’ that are showing right now. If so, a business should assess if there are any negative matches or any other conflicts when they should be running. If the specific keywords are set at the max CPC at an optimal level. If there are any terms or keywords that are not in line with the desired CPC, CTR and conversions? For many businesses, Ads are usually left to run their course while not being checked in most accounts, or they are over tested. One way that businesses can test these ads productivity is to set the ad rotation to force even rotation. A business should also ensure that each and every ad group has two separate ad versions. This should include an ‘A’ and ‘B’ version. With these set intervals in place, the business can then make the decision on who the winner is and alternate in a new ‘B’ version to examine. It is important that a business doesn’t leave things on autopilot, even if they rely on search engines algorithm to establish the ratio in which to serve ads and utilise the dynamic tools. Running the audit can reveal these issues. Two ad alternates in each ad group. The application of dynamic keyword inclusion and their performance against static headlines. The application of the calls to action in the headlines of ads and their effectiveness. If there are any ads that currently have mid or low-quality scores. Even though landing pages are outside of AdWords, they do have a direct and explicit impact on the performance of the AdWords campaign and can even affect the results throughout the AdWords campaign. It can easily become extremely detrimental for a business to not assess landing pages even if they are not a direct link when evaluating the quality scores of ads. If there is a suitable and effective headline, along with a clear call to action on the landing page. If the forms work and are effective. if there is a devoted call tracking number. If the form submits a ‘thank-you’ message or another page that incorporates a conversion tracking code. If the quality scores of each ad links to a corresponding landing page are in the mid to high range. If it is optimal to add further landing pages or compress them into less pages based on the performance of the Ads. 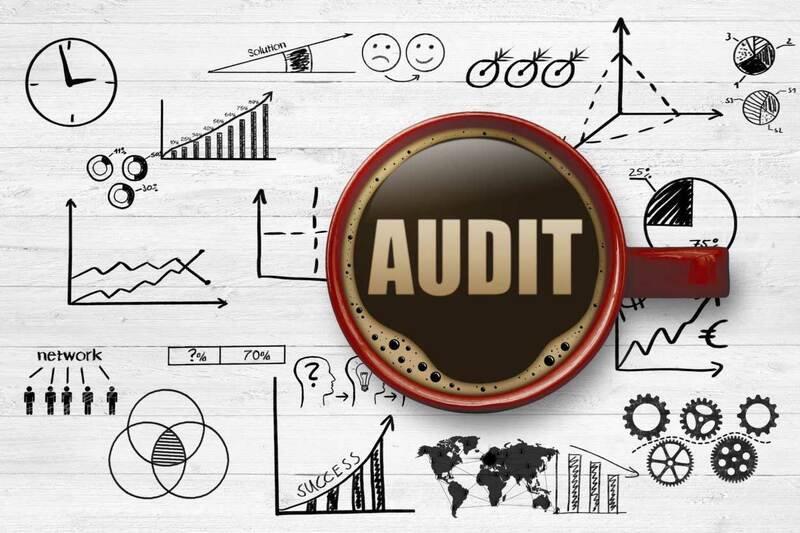 As a business irons out the steps of the audit and spends the time to examine the details of the audit compared to the expectations of the performance and goals, it is important to record the results. It is highly likely that the audit will need to be shared with other members of the business internally, or to external parties. This is why businesses should organise their audit into a document or format that will assist the business to make their action plan, as well as make it easy to share these insights with others. After each item has been documented with their current status and any issues that have needed to be addressed, the production list and action plan can begin to come together, become scheduled and then be placed into motion. No matter if the business decided to arrange and begin to undertake the areas that have been identified as needing improvement, expansion and optimisation or to simply implement these into longer, continuous efforts, they ultimately have the knowledge to find the most efficient solution. Despite the situation of the business, they are in a position to increase gains in their account that will ultimately, positively impact the bottom line.